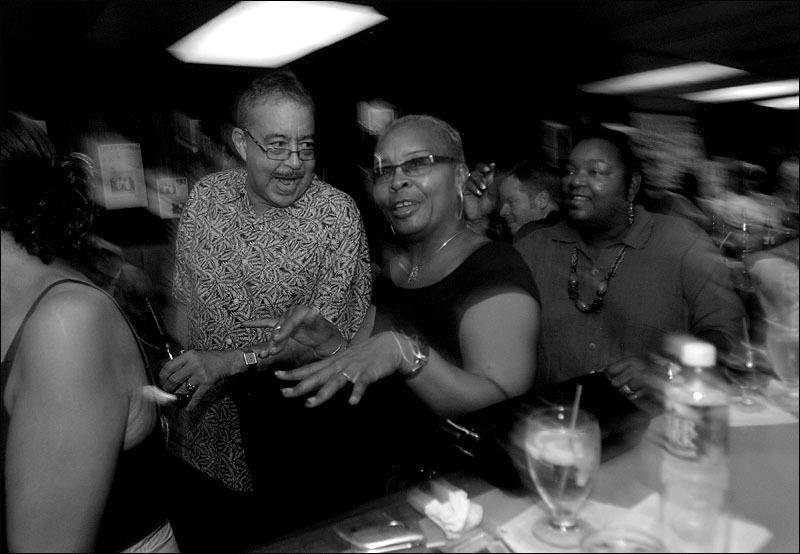 R1: Natalie's Jazz Lounge: Peter Tobia, photographer, photojournalist. People crowd the bar as six tiny booths are taken quickly by those who arrive early. Natalie's sign says it serves food. These days, that means potato chips.